For post-May 2015 weekly earthquake commentary, please refer to the home page. For the fully searchable earthquake catalogue, please visit the Southern California Earthquake Data Center (SCEDC) website. 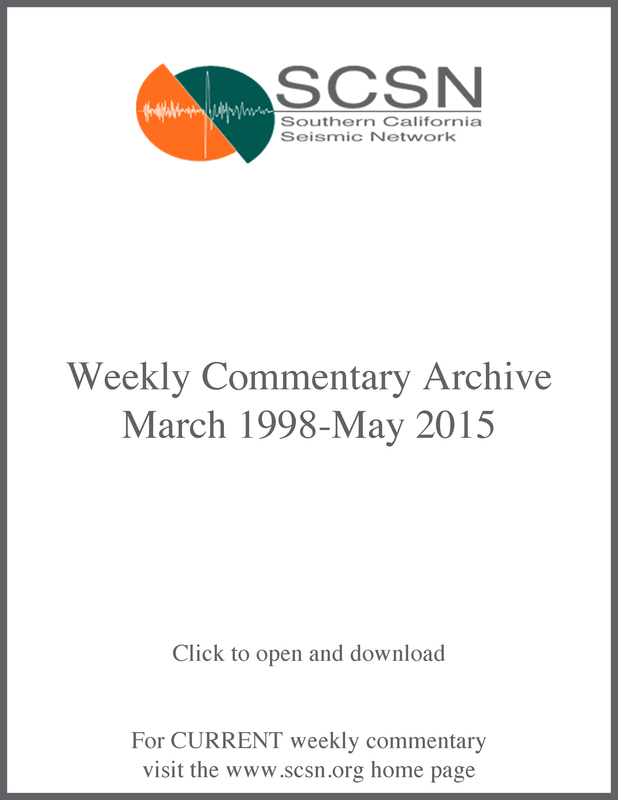 Below is an archival copy of the weekly reports from March 1998 through May 2015. Note: Due to changes to the USGS website, “Did You Feel It?” links within the archive are no longer available. To search for specific felt reports visit the USGS DYFI search page.